Examinations to the applied candidates have conducted thorugh the OMR/CBRT from 24/02/2018 to 04/03/2018 FN & AN. Certificate verification was conducted in all the Erstwhile districts from 08-08-2018 to 27-08-2018. At the time of certificate verification TSPSC called 1:3 ratio of candidates for the verification of their original certificates. This verification process is scheduled from 08-08-2018 in all the erstwhile districts and it will be completed depending on the No. of candidates who have been selected in 1:3 ratio. DEOs of the Erstwhile district have verified the original certificates of the candidates in the above mentioned dates. After completion of the certificate verification TSPSC has started its exercise to announce the selected candidates of TRT-2017 in each category. During this process first TSPSC has announced the results of School Assistant – English, Urdu & Physical Science (Telugu & English Mediums). The allotment of candidates to a local cadre is subject to further procedure according to provisions G.O Ms. No.124, GA (SPF -MC) Department dated :30.08.2018. 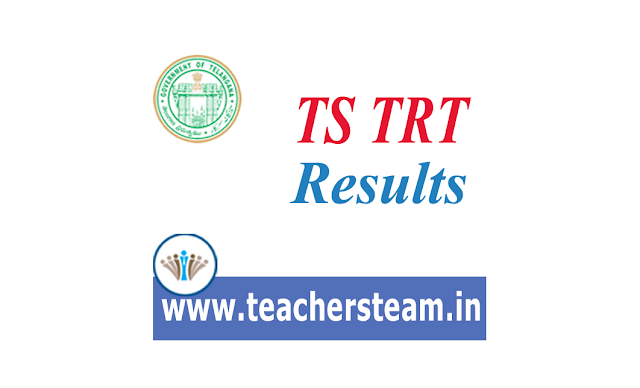 Now TSPSC Has released the ranking list of all the Schools Assistants. School assistant Subject: BIOLOGICAL SCIENCE - TELUGU MEDIUM. School assistant Subject: BIOLOGICAL SCIENCE - URDU MEDIUM. School assistant Subject: BIOLOGICAL SCIENCE - MARATHI MEDIUM. School assistant Subject: BIOLOGICAL SCIENCE - KANNADA MEDIUM. School assistant Subject: MATHEMATICS - TELUGU MEDIUM. School assistant Subject: MATHEMATICS - ENGLISH MEDIUM. School assistant Subject: MATHEMATICS - URDU MEDIUM. School assistant Subject: MATHEMATICS - KANNADA MEDIUM. School assistant Subject: MATHEMATICS - MARATHI MEDIUM. School assistant Subject: MATHEMATICS - HINDI MEDIUM. School assistant Subject: MATHEMATICS - TAMIL MEDIUM. School assistant Subject: SOCIAL STUDIES - TELUGU MEDIUM. School assistant Subject: SOCIAL STUDIES - ENGLISH MEDIUM. School assistant Subject: SOCIAL STUDIES - MARATHI MEDIUM. School assistant Subject: SOCIAL STUDIES - URDU MEDIUM. School assistant Subject: SOCIAL STUDIES - HINDI MEDIUM. School assistant Subject: SOCIAL STUDIES - TAMIL MEDIUM.